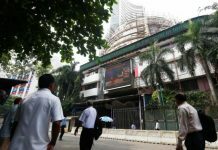 Mumbai : Supportive global cues and a healthy start to the earnings season lifted the key Indian equity indices over 2 per cent in the week ended Friday, with the BSE Sensex setting fresh benchmarks and the NSE Nifty50 closing over the 11,000-mark. Globally, investors’ sentiments were strengthened after reports on Wednesday said China and the US may hold talks to resolve the ongoing trade tensions. Easing crude oil prices was also welcomed by the markets. However, in the domestic market, weak macro-economic data released on Thursday trimmed the gains. Index-wise, the wider Nifty50 of the National Stock Exchange closed the week’s trade at 11,018.90 points — up 246.25 points or 2.29 per cent — from its previous week’s close. 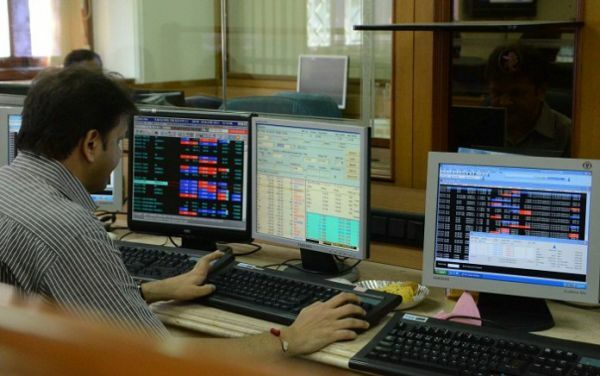 Market breadth, however, was negative in three out of the five trading sessions of the week, said Deepak Jasani, head of Retail Research at HDFC Securities. Retail inflation grew 5 per cent in June to a five-month high while industrial production slowed down to 3.2 per cent in May on weak manufacturing sector output, Jain said. On the currency front, rupee closed at 68.53, strengthening by 35 paise from its previous week’s close of 68.88 per greenback. In terms of investments, provisional figures from the stock exchanges showed that foreign institutional investors sold scrip worth Rs 1,801.65 crore, while the domestic institutional investors purchased stocks worth Rs 2,288.08 crore in the week bygone. Figures from the National Securities Depository (NSDL) revealed that foreign portfolio investors (FPIs) divested Rs 1,540.59 crore, or $224.27 million from the equities segment on stock exchanges during the week ended on July 13. Sector-wise, oil and gas, IT and capital goods ended on a positive note, while metals and auto were among the major losers, Jasani told IANS. Scrip-wise, Reliance Industries gained the most on the Sensex and in a major development its market capitalisation (m-cap) crossed the $100 billion mark this week. On Friday, the m-cap of the company at closing was Rs 694,944.56 crore or $101.40 billion. The top weekly Sensex gainers were Reliance Industries (up 12.31 per cent at Rs 1,096.75); Yes Bank (up 6.81 per cent at Rs 376.40); Wipro (up 6.73 per cent at Rs 280.70); Hindustan Unilever (up 3.70 per cent at Rs 1,741.15); and Bajaj Auto (up 3.66 per cent at Rs 3,134 per share). The major losers were Hero MotoCorp (down 4.84 per cent at Rs 3,460.60); Tata Motors (DVR) (down 4.18 per cent at Rs 150.30); Vedanta (down 4.05 per cent at Rs 210.60); Tata Motors (down 2.58 per cent at Rs 264.15); and IndusInd Bank (down 1.81 per cent at Rs 1,923.45 per share).